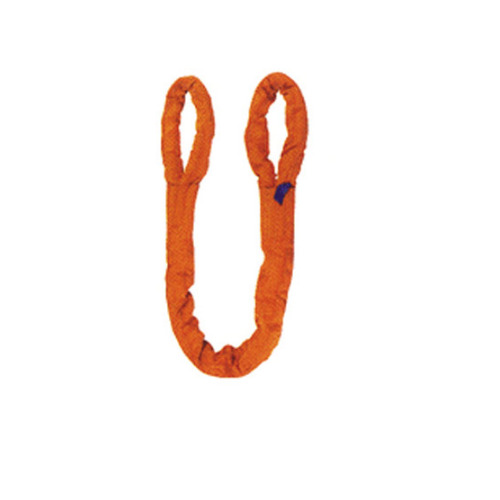 Samson brand polyester sling is a high quality product manufactured by Green Field Material Handling Pvt.Ltd, an ISO-9001 accredited large group of Industries. 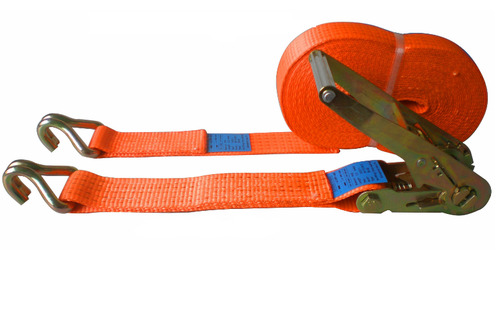 Samson polyester slings are safe, strong, flexible, acid proof, long lasting, hazard-less, user friendly tools for efficient lifting. Almost all large reputed manufacturers are using Samson polyester slings. Samson polyester slings are tested in house by most modern & state of the art technology testing machines & each products are subjected to rigid on line inspection. Polyester Webbing Sling and Polyester Round Slings with reinforced Eyes at both sides are manufactured as per BS 3481 Part 1 & Part 2 1983. The safety factor is 7:1 We are also manufacturing special types of slings for special applications were diameter of round shape objects are very large in size, range upto 1200mm wide flat belts are available with us. It is a double Sleeve Type. The Yarn Hunk provider better protection & longer service life with greater resistance to wear & damage, using suitable outer sleeve on the Polyester yarn hunk. "Our Polyester Webbing / Round Slings are absolutely customized. 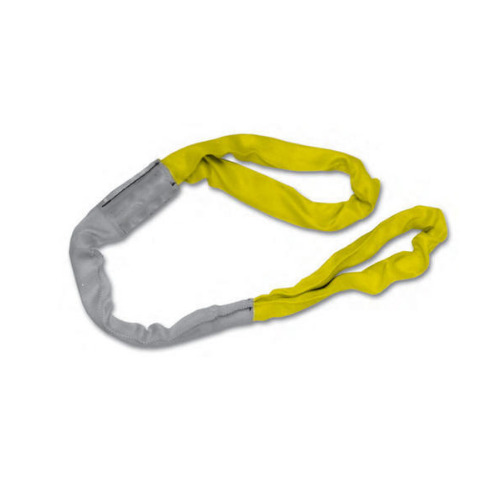 The Polyester Webbing / Round Slings of DB IMPEX are manufactured with good precision and are user friendly in working"
We are one of the leading manufacturer and suppliers of Parallel Lane Round Slings. Repair : Outer Cover can be replaced by a new cover. Overload Indicator : If load is more than SWL, it indicates overload. Optic Fibre : Optic Fibre Cable is used to check the damage of Yarn. We offer multi leg sling. 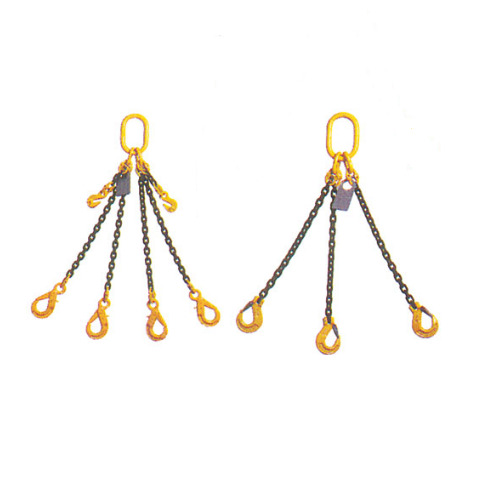 Slings with polyester /forged ring at top & forged steel d-shackle & hook at bottom. Safety factor 1:4. Samson ratchet lashings are basically to secure loads on pallets, vehicles on board ships & aircraft. 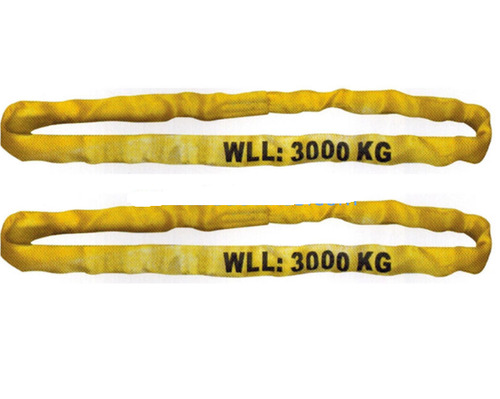 Samson has the widest range of lashings/cargo available from light duty to super heavy duty lashing. In India, these ratchet lashings have also found an application in the power transformer industry for winding of large coils etc. Samson ratchet lashings are available in two configurations: endless lashings system configurations are available with a large variety of end fittings & widely used in military & transport applications.